Companies to Inspire Europe by the London Stock Exchange. 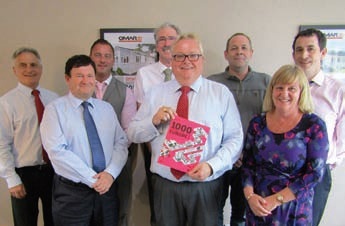 Residential park home manufacturer Omar is celebrating three years of positive growth, after being named one of 1,000 companies to inspire Europe by the London Stock Exchange. The group is one of only 150 British businesses to have received the honour. Over the past six years Omar has more than trebled its sales, taking the group from a £10m business in 2010, to a business with turnover in excess of £30m in 2015. On top of that, Omar has created 220 new full-time jobs and taken on ten apprentices.